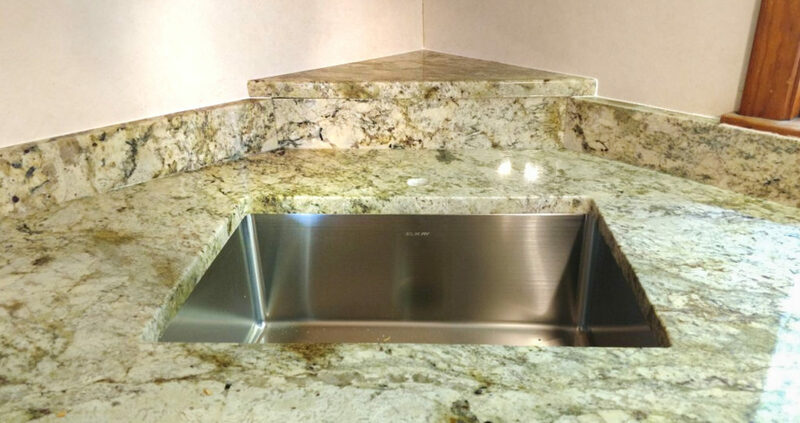 This granite countertop replacement project features Typhoon Bordeaux, a granite that originates from Brazil. Featuring an array of gold, beige, and red, it is the perfect accent for homeowners who just want to replace their countertops with their kitchen cabinets from the early 90’s-2000’s kitchens. One of the big trends of that time period was a honey oak or warm cherry color cabinet. 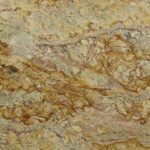 With the colors that are in Typhoon Bordeaux, it makes it an almost perfect accent when it’s time for a granite countertop replacement project. 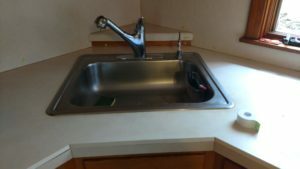 These homeowners were looking to prepare their home for resale and had an older solid surface material in their kitchen. To help attract a better value for their home, they opted for a granite countertop replacement. 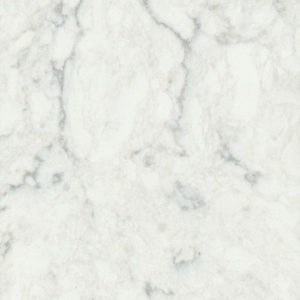 More durable for everyday use, granite is highly resistant to damage from heat, scratches and harsh chemicals. Available in a wide range of colors, it ‘s very easy to maintain and is an excellent option for indoor or outdoor locations. It’s available in a wide range of prices, making it an achievable option for a wide range of budgets. Like most older kitchens, this countertop had a drop-in style sink. One of the things this homeowner (as do most) loves about the undermount sink, is it’s very easy to wipe any crumbs or liquid into the sink. No more crud under the lip of the sink! Finishing the project is a small backsplash which is nestled right below the window sill. A huge advantage to a small backsplash like this when no tile is in, is it protects the drywall from becoming wet from spills or while washing dishes. Want this look? Let’s get together for a quote today!